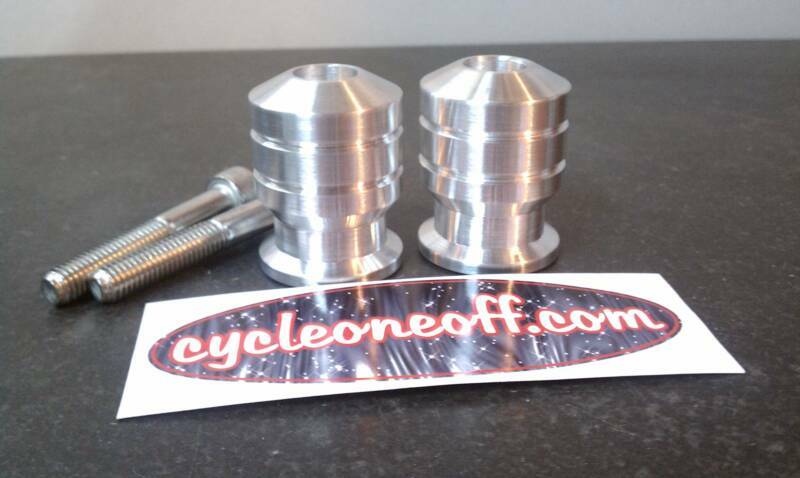 NEW product idea from Cycle One-off inc! 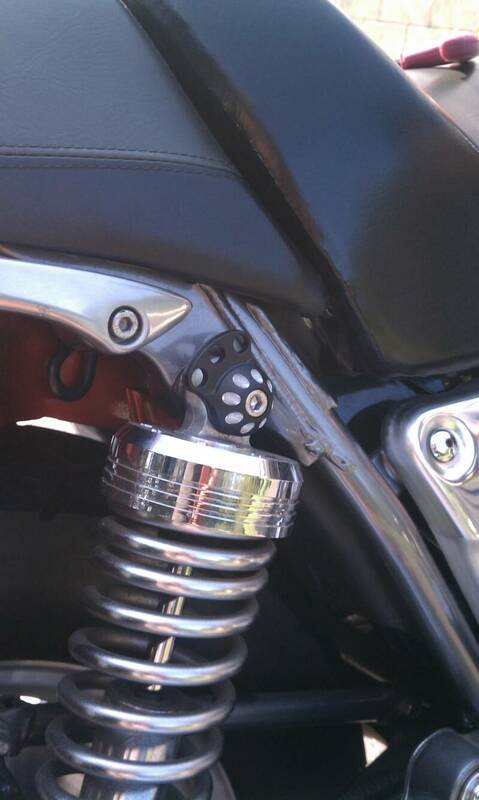 These mount on the lower shock mounts on your swing-arm and final drive unit. 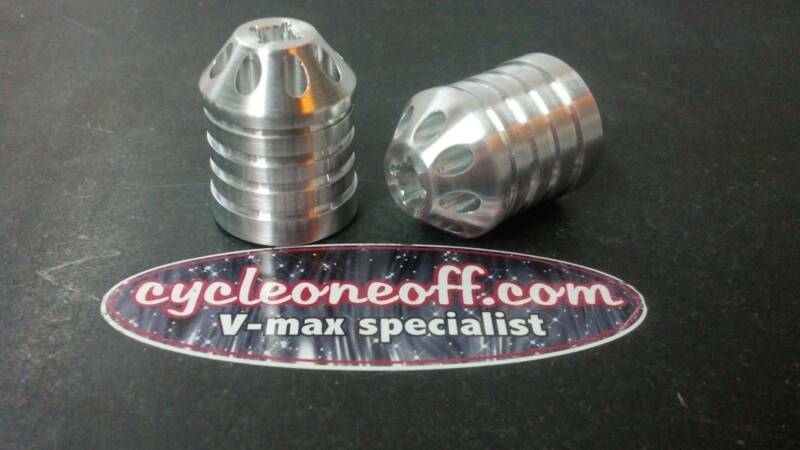 They are 10mm threaded so you can use them on other areas on you v-max. 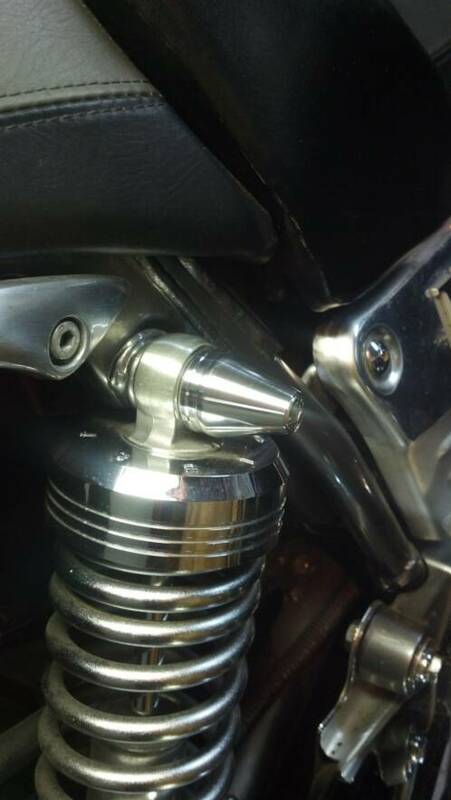 Simple to use and it only takes a .25 socket ratchet to tighten them on with. 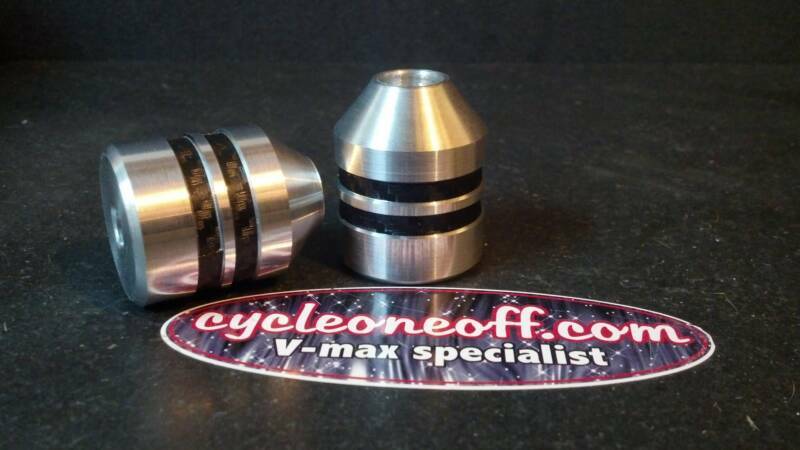 CNC machined for a really nice look. 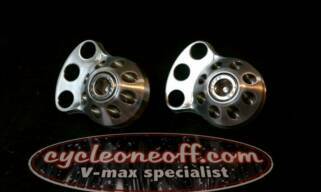 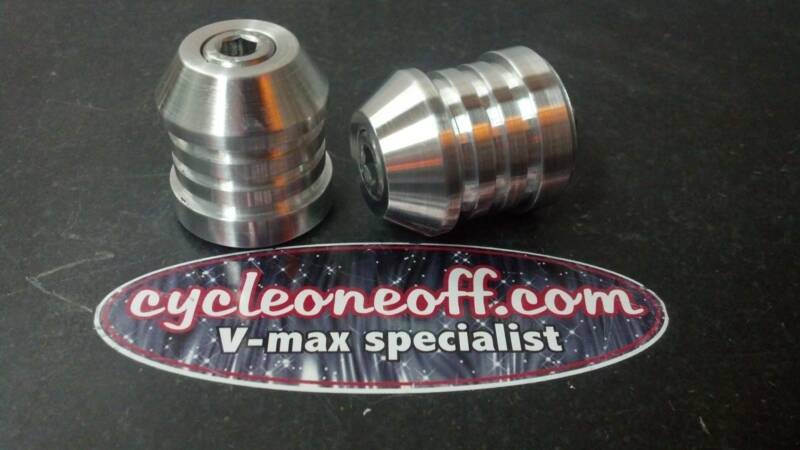 Wow check these out for your V-max aluminum rear shock cap holders. 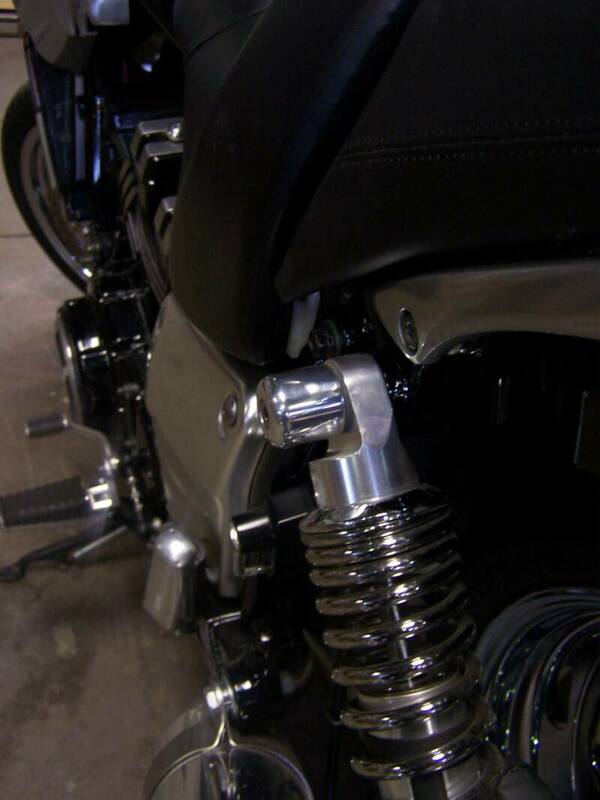 Give your bike a customized look, will fit any year. 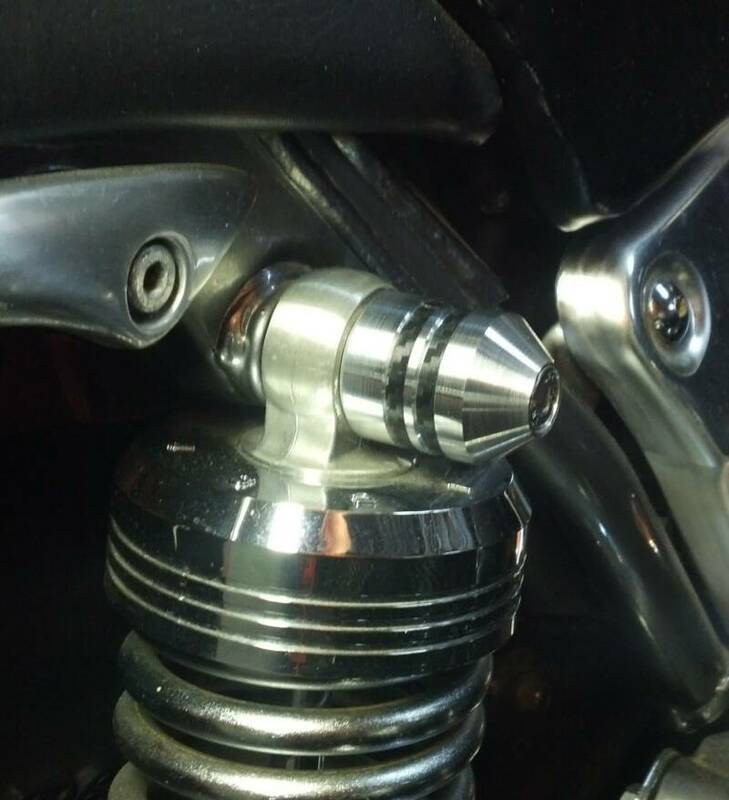 These come with stainless steel bolts so they wont rust.They will also come polished.They also make a nice spot to strap your cargo net instead of using your fender and rubbing the paint. 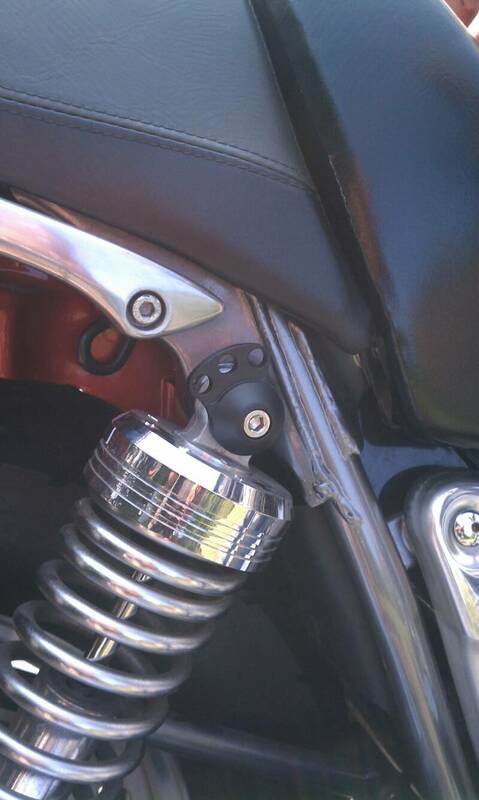 These mount on the top or the rear shocks and provide a nice mounting spot for the hooks on your cargo net or bungee cord. 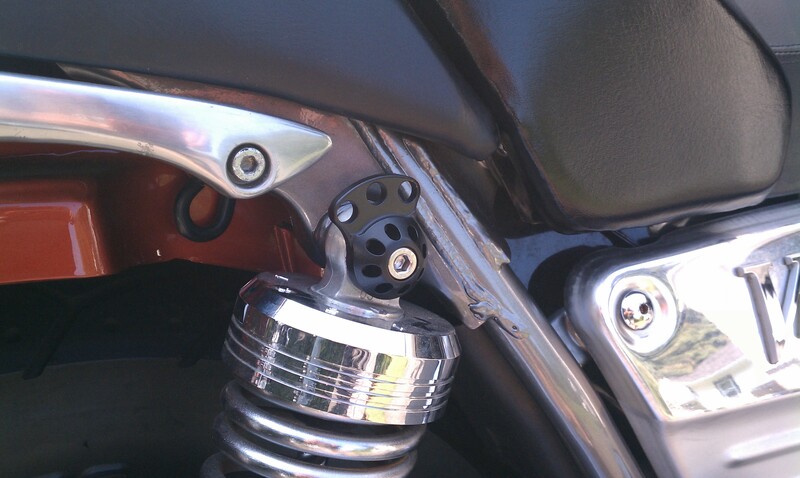 Black Bungee shock top holders. 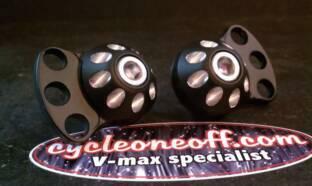 Black revolve Bungee shock top holders. 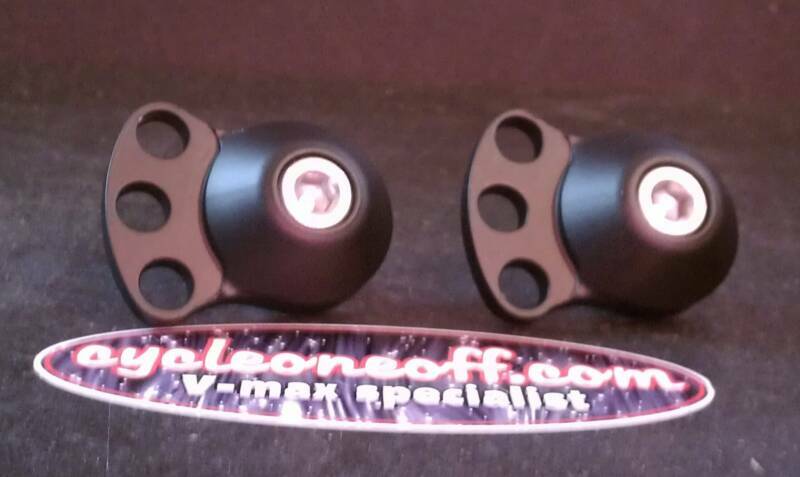 Black revolve/silver Bungee shock top holders. 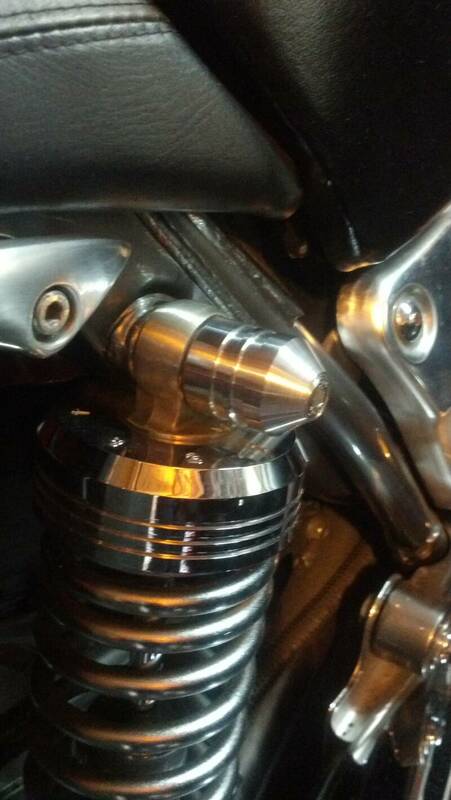 Cone rear shock cap holders. 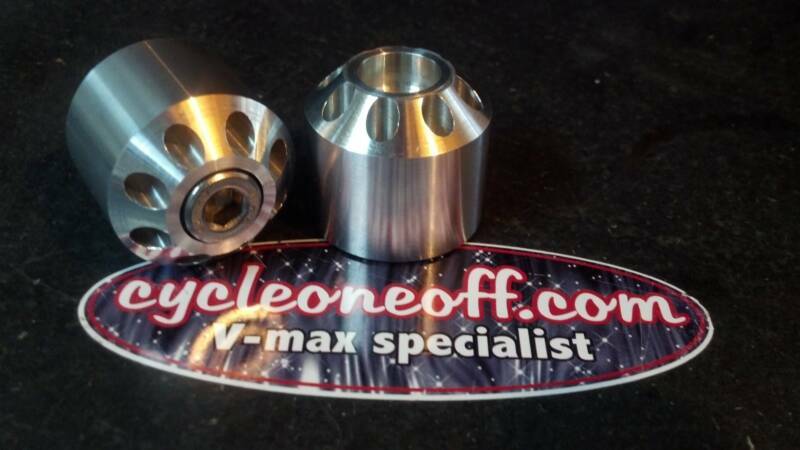 Polished and cnc machined for a really nice look. 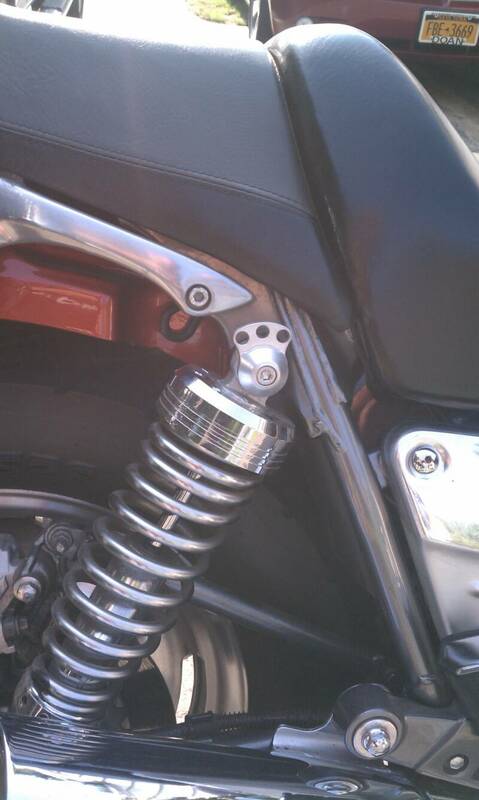 Two groove rear shock cap holders. 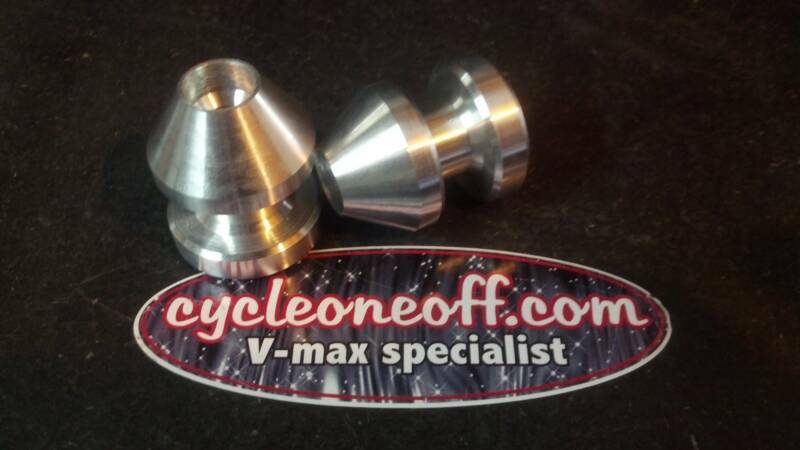 Cnc machined for a really nice look. 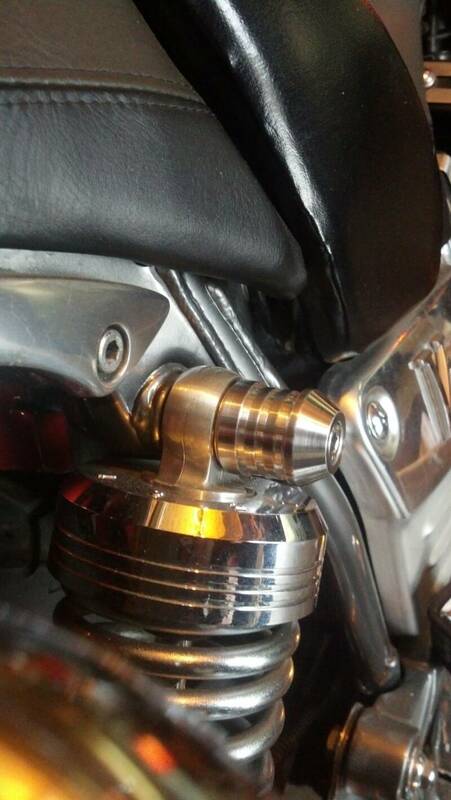 Bungee net rear shock cap holders. 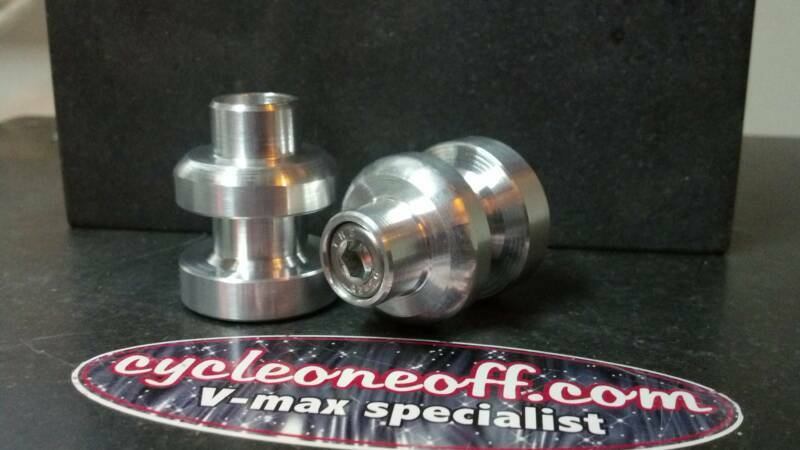 Cnc machined for a really nice look. 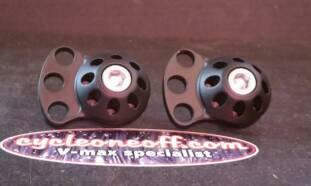 Carbon Fiber look rear shock cap holders. 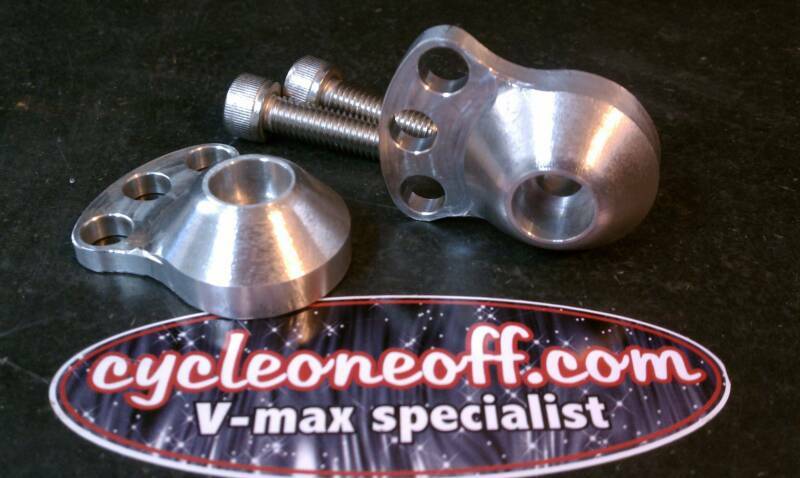 Cnc machined for a really nice look. 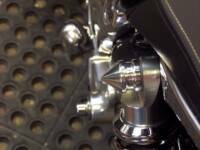 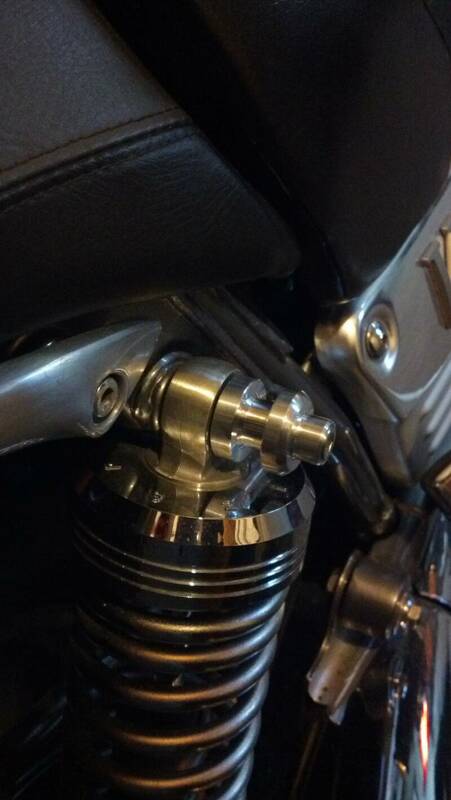 Bullet pin rear shock cap holders. 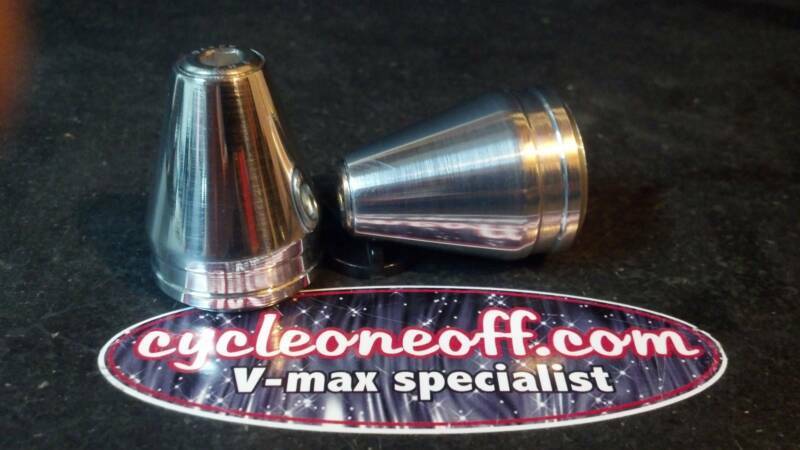 Cnc machined for a really nice look. 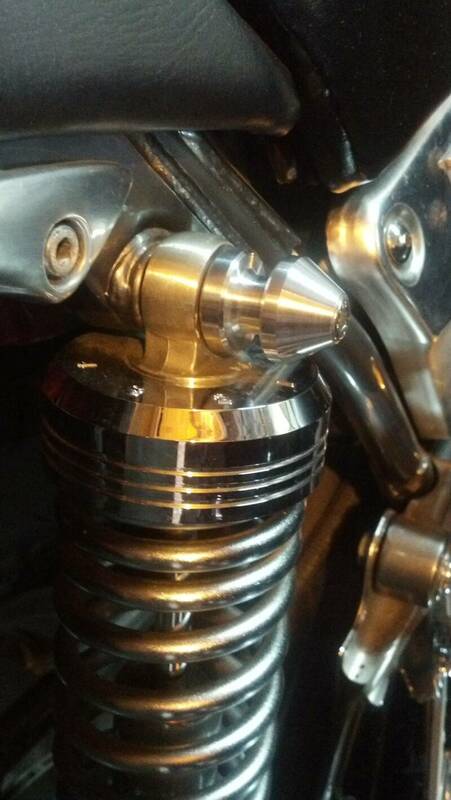 Super slotted rear shock cap holders. 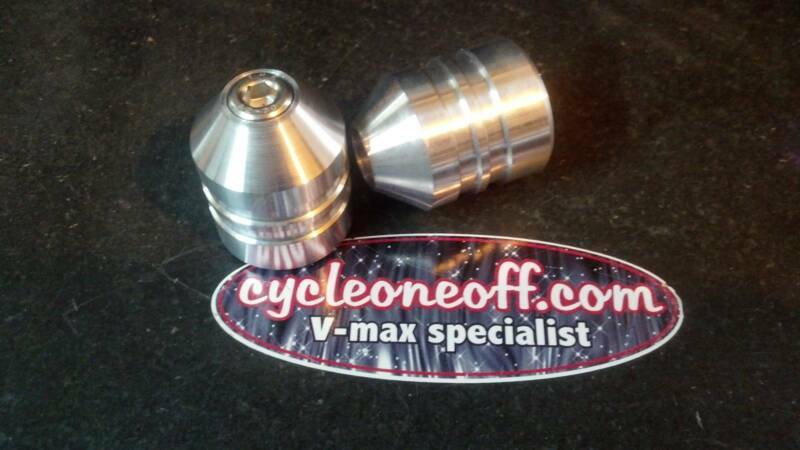 Cnc machined for a really nice look.